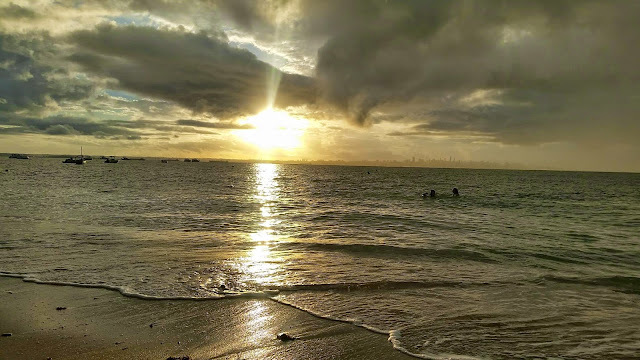 On Sunday, we traveled early from Itaparica to Salvador. Some of us got up to see the sunrise over the ocean and the city of Salvador from our island homes. While a beautiful sight, it also gave us the opportunity to again see the amount of waste that comes ashore each day on Itaparica. 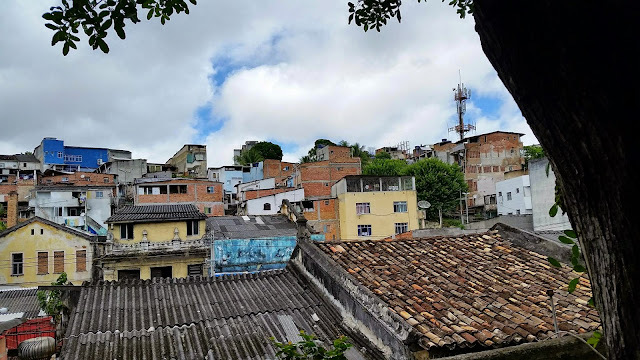 After our bumpy ferry ride, we spent the morning walking around the Pelourinho area of Salvador in small groups led by Javier and members of the Steve Biko Institute. The Steve Biko Institute was established in 1992 in Salvador to work with low-income students with less access, in order to prepare them for college entrance examinations. In our groups, we talked about the Catholic influence and Afro-Brazilian history of the area more in depth. Javier explained how Candomble evolved at one of the first Catholic churches built and attended solely by Afro-Brazilians. In the afternoon, we spent some time at the largest shopping mall in Salvador. While members of the group did a little shopping, our eyes and ears were ever observant. In the evening, we talked about what we observed in the mall, with particular attention to racial demographics of shoppers and workers. Lila Jacobs further noticed the propensity of white models and the comparative absence of any black models in the store. When we returned to our hotel, we heard from both Gordon Ho and Marcus Lin who talked about the history of Catholicism in Brazil and the Liberation Theology movement respectively. Gordon and Marcus fielded questions on their topics deftly, benefitting from their in country research. Gordon will be considering the decline in influence of the Catholic Church in his future essay, while Marcus will be looking into the military government's relationship with the leadership of the Liberation Theology movement during the 1960s and 1970s. To finish the evening, Kirstin asked the group to look back upon their first journal entry before departure and to consider in what ways they had met their own expectations for the trip. My main thing I wanted to get out of the trip was simply an understanding of another culture of the Americas through connecting with the people like Javier and the people he brought in to talk with us. I feel like I was able to do that better than I ever would have on a family vacation. I have really come to understand Brazil as a unique country, with a differing history and colonization forming a different culture today. I also wrote that I hope to better understand race and economic relations in Brazil. My understanding certainly grew, and in more ways than I thought it would. I feel it also expanded my understanding of race relations in the US and other countries as well. Then again, in many ways I have come to this point in the trip simply with more questions. 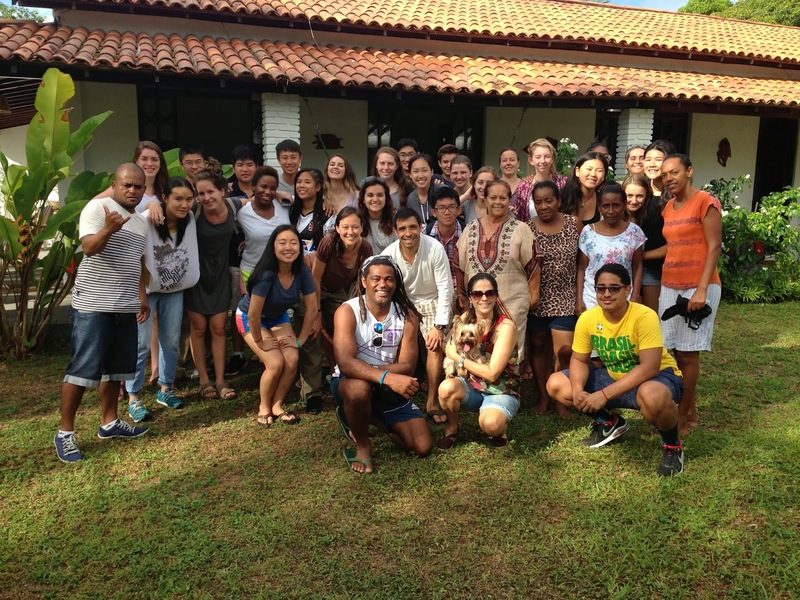 We have learned an incredible amount about Brazil and the world in general in these last few weeks. And as with any good learning experience, I think we all have more questions.